Lot 80 RAILWAY CLOCK. 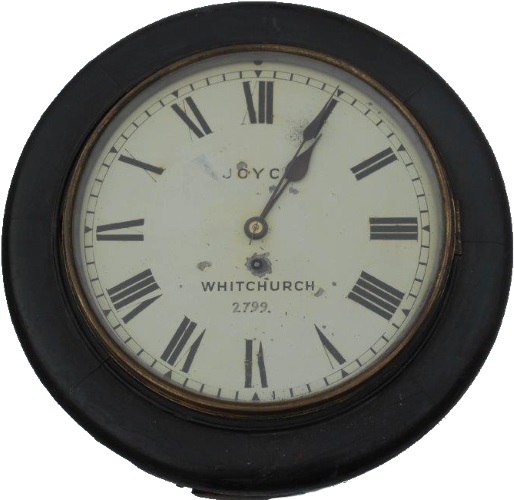 An L & NWR 12" Dial Clock marked "LNWR - JOYCE OF WHITCHURCH" with fusee movement. The case has a one piece mahogany surround with a solid brass bezel. The back box has one side and one lower door. Original Dial showing the clock number 2799. Complete with pendulum and key. Full working order.